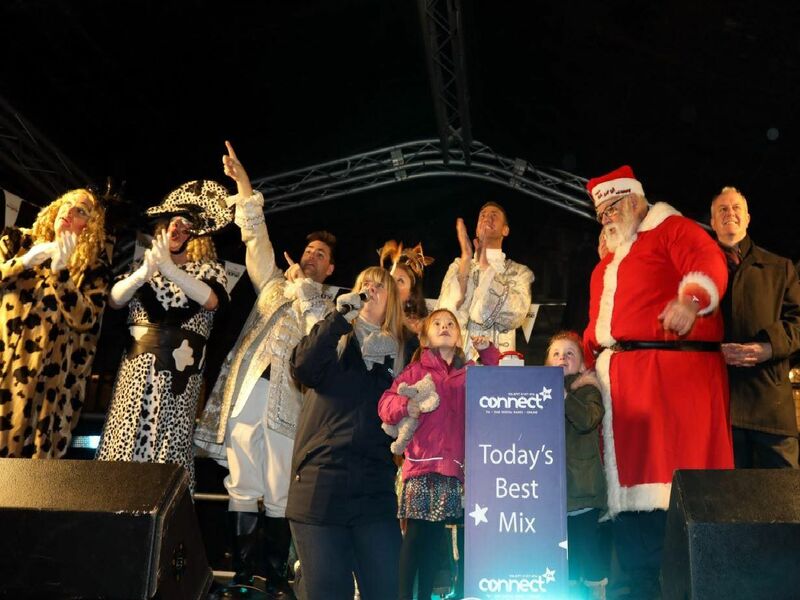 A crowd of several hundred gathered on Wellingborough's Market Street on Saturday to see the town's Christmas lights be switched on by two lucky competition winners, alongside mayor Cllr Malcolm Ward and X Factor finalist Christopher Maloney, who plays Prince Charming in Cinderella at Castle Theatre. After performances from Wellingborough groups, the lights were turned on by three-year-old Mia Pettit and her sister Bella, 4, who won this year's competition to press the big red button on stage next to Father Christmas. The switch-on was then followed by a fireworks display.